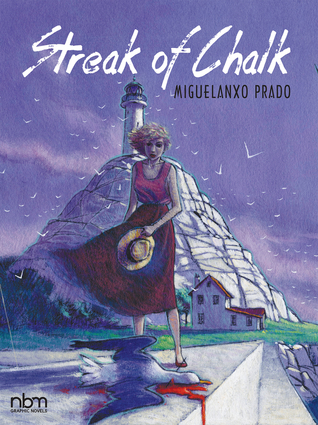 Raul lands on a tiny, nearly deserted island where the only other non-resident there is a mysterious woman named Ana; who claims to be waiting for someone. To quote the book: "This island predisposes you to believe in things that you wouldn't believe in under ordinary circumstances." Therefore, we can't be sure what we're seeing take place in the book is real. The art style does a great job of projecting that mysterious atmosphere; looking like oil or acrylic paintings. Some of the panels are REALLY dark, though; making it hard to make out some details. Raul isn't exactly the most likable of the small cast of characters. He's pushy and arrogant; thinking because a female is near him, obviously, she must want to get with him and just can't understand why she doesn't fall into bed with him. Then the only other male characters introduced are also sexist assholes. Then it's over. While lovely, this is not a book for me. It felt like it was trying to hart to mean something and as a result, it didn't feel like it meant anything. But man, is it pretty. 3 out of 5.